I told myself I was going to read when we went home to Pennsylvania. I told myself I'd read on the airplanes. I told myself I'd read at the airports. I did none of that. In fact, I remembered very quickly that I get horribly airsick. Also, I don't read to relax. I have to be relaxed in order to read. Airports are the opposite of relaxing for me. So I didn't make much progress in October. I did finish When We Were Worthy by Marybeth Mayhew Whalen. It was okay. I'd rate it a B-. I liked it well enough as there was a little mystery to it, but it was sad. I also read Salt to the Sea by Ruta Sepetys. I'd give it a C. I read it in one week and that was a raging success because it was a library book and I refuse to let the system of ebook-borrowing beat me. It was okay. I actually really liked the first 1/4 or so and then I started losing interest. I liked Out of the Easy much better. This one, with all the points of view (and I am a FAN of short chapters), didn't have a character depth that I could appreciate. 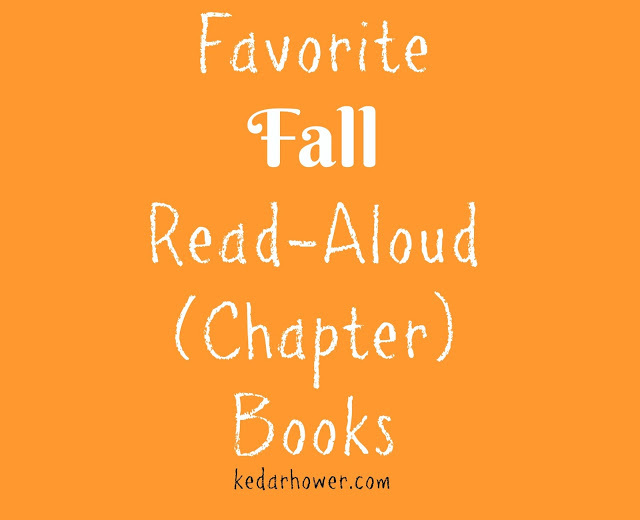 I will call that an absolute failure in one sense, but it also opens up the chance for me to share my favorite fall read-aloud books for 4th graders. This is my second favorite Goosebumps book. I always liked it as a kid and started reading it to fourth-graders back in 2010...I've read it every year since. If you look on Netflix, there is a corresponding episode of the Goosebumps TV show for it. The show is a complete 180 from the book, so it makes for a nice lesson in comparing and contrasting. Any excuse to pull out a Venn Diagram, right? I didn't read this until I was substituting in a 4th grade classroom back in 2008. I read it to my class in 2011 and it's been a permanent fixture ever since. Some years I read the sequels, but usually I just tell kids about them so they're aware. It's likely my favorite children's book of all time. I can't remember when I first read this. All of Andrew Clements' books are amusing and real and just fun to read. I love a good school story. I may have read them all over the last 5 years. This one inspires a bit of introspection on the part of the students and gives me a chance to pose some interesting questions (i.e. why do we talk so much?). I read this in November because it takes place in November. I found this in 2012, which was a year after we visited The Mayflower II in Plymouth. The book corresponds so well with the real setting of Plymouth and the actual history, with a little bit of fiction thrown in to make it extra interesting. The A to Z Mystery books are generally for 2nd-4th grade students, and I've read this to 2nd and read it to 4th and they both like it. With 4th, I go more in-depth, teaching about the real first Thanksgiving and showing them what Plymouth actually looks like and how my experience there compares to this book. Sadly, I don't think I'm going to get to Mayflower Treasure Hunt this year. My group isn't overly mature, but they did refer to Goosebumps as "cringey", making me think that they may not appreciate the works of Ron Roy. Oh well. We only have four more school days until Thanksgiving (!!!) so I'll just finish Bunnicula and move onto No Talking. So that's October. I would say I have high hopes for November but you know how that can go...I'm always looking for a good recommendation though! Bummer that your books weren't that great. :( I always read less on trips and vacations than I anticipate! I pack a ton of books and read 1 or 2! I'll have to share the 4th grade list with my mom, she teaches 4th grade and always reads aloud to her class! Similar situation here- I thought I was going to finish my (non-renewable) library book on a long car ride and immediately got a headache and didn't want to read at all! Hope you have a more enjoyable reading month soon. I always have such good intentions to read when traveling, but it almost never happens for whatever reason! I have When We Were Worthy on my iPad and I need to read it, but it hasn't been one that has jumped out at me for whatever reason. Mayflower Treasure sounds like such a fun book/series. I do the same - fully expect to get all the reading done while on a trip and return home with a sense of failure. I even bought several paperbacks to take with me on a beach vacation last month ... and realized 4 hours into the drive that I had left them home. I have When We Were Worthy on my kindle. Salt to the Sea has been on my list for a while. I read in all situations if I want to read. Sometimes I just don't, and that's okay too. My books lately have sucked. Not sure why but I hope to read some winter ones and maybe it'll perk up! I read Andrew Clements' new one recently and really loved it! I still need to read Salt to the Sea. Loving your list of books for fourth graders, that will come in handy for me soon!!! I do the same thing. I think I"ll read a ton on vacation, at the airport, on the airplane and don't read it all. LOL! I really enjoyed Salt to Sea and I've heard from several others Out of the Easy is even better. Need to pick it up some time. My daughter had to read Frindle in third (?) grade and HATED it. Like, it's her all time least favorite book and I'm not sure I'll ever be able to get her to read another Andrew Clements book ever again. OK - shocker - I've never read a Goosebumps book. I must have just missed them growing up. I think I'd still love them & need to check them out. glad you liked When We Were Worthy well enough, it's my next book club book. I liked her other book, so we'll see. I haven't read any books by Ruta Sepetys but they are on my list. hope you have better luck with your next book picks :) i was not a goosebumps fan growing up, they scared the absolute buggery out of me. My son loved the A to Z mysteries series! He finished all of them, and now is working on Captain Underpants. We are searching for other series now, i'll check out the ones you mentioned. You still did much better than be on the reading front. I'm such a slacker. I understand the high hopes thing. I had HIGH HIGH hopes for October. I had nearly two full weeks off for fall break and thought I was going to do all this reading/listening in the car going to/from New Orleans and while on the cruise. Pfft.... Just didn't happen. Oh, well. Such is life, right? I read We Were Worthy in September and I wasn't really impressed, either. I read tons when traveling but I get that lots of people don't. Haven't read either of these. Bunnicula is the best. When I was in 4th grade, I remember my teacher reading a book where a dog dies (I think it was a hunting dog that fell off of a small cliff? It was some Southern/Appalachian themed book.) and she cried so hard she had to leave the room. This was the early 80s, so we were completely unattended for a good half hour. Good times!